The 2013 INCA’s DOG SHOW was held in the beautiful setting of the Parque de la Reserva in Lima against the background of the famous dancing, coloured water pools. There were three shows, with 395 dogs entered in each of them, and the judges were Messrs Carlos Fernández Renau from Spain and Ermanno Maniero from Peru, along with Mrs Avery Gaudin and Mr Douglas Gaudin from Canada. At the same time and as part of the circuit there were two Special Shows for German Boxers, the championship of the year judged by Mr Alessandro Tanone and the LATIBOX 2013 show judged by Mr Milos Lucic President of ATIBOX, both held at the Bóxer Club del Peru, to mark its thirtieth anniversary and with 92 dogs on display. What do you think of the Show in general? The venue was wonderful, in a magical water park, full of fountains and flowers, it is a lovely place and the people are charming. I thought we had just the right atmosphere to hold a show on this scale and the decoration was perfect. So it is a show in a perfect setting, where both judges and exhibitors feel really comfortable. I would have liked to have seen owners presenting their dogs, as that’s the basis for a future form of dog-fancying, for it to be more open and better-developed. I have had a really pleasant day. What do you think of the dogs you chose in the end? I am really happy with the dogs to which I awarded prizes - I think they are very high quality dogs and that they could have won in any country, anywhere in the world. The average quality is not high, we have got the problem of the different types of breed which are highly influenced by the AKC, there is no doubt that this is a handicap for us, as Europeans. What do you think of the quality of the dogs that were exhibited in the ring? There is a lot of work to be done with a huge number of breeds. The main thing is for each breeder to have a proper understanding of what is typical within his or her own breed. Quality has no nationality, there are good and bad dogs all over the world, but breeders need to know exactly what they are doing when they come to start a breeding programme. The way I see it, once I had enough specimens in the breed, I could express my own idea of what I want in that breed; I had enough to choose from. Within a few breeds, with a good number of dogs, I found some really good finalists. For instance, the quality was excellent with English bulldogs, French bulldogs, Chihuahuas, bichon frises, pugs, Afghans, Rottweilers and Boxers, amongst others. 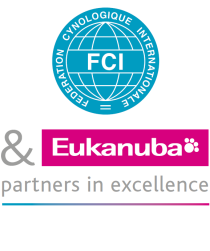 We must not forget that Peru belongs to the FCI and, although there are a lot of dogs which are decent enough and a lot of quality in the AKC, we have to adapt them to what our FCI standards demand and be truer to the origin of the breed rather than its interpretation. Health is incredibly important - of all the dogs that are born at a breeder’s kennels, only ten per cent go to shows - the rest all go to family homes to become pets. We cannot allow these families to have problems because these dogs are not healthy. A concern for our dogs’ health is essential at the time in which we are living, so that we can breed healthy – and thus high quality - dogs.